India may be a market where most of the brands focus on offering their line-up in between Rs 5,000 and Rs 20,000. But there are a group of people in the country who are looking to spend as much as Rs 50,000 to get the best smartphone in the market. And that’s when the importance of smartphones priced up to Rs 50,000 comes into play. If you’re looking to buy the best smartphone under 50000, then, you’ve come to the right place. We have got you covered. 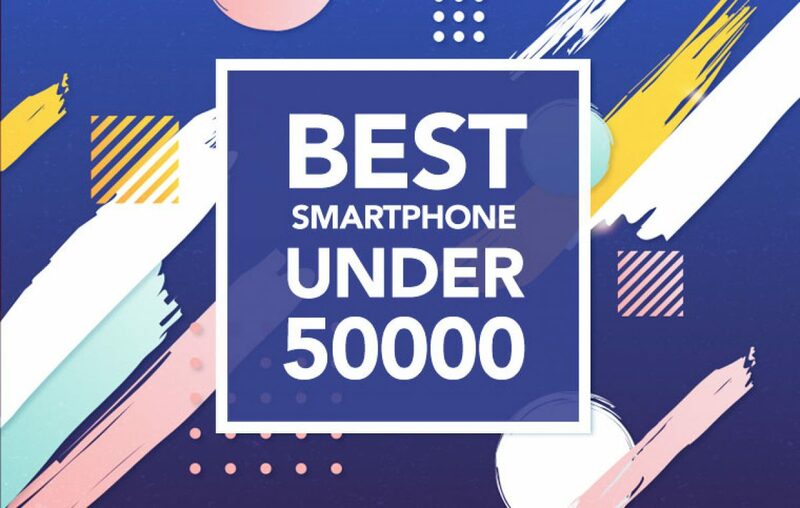 In order to find out what’s the best smartphone under 50,000 you’d have to go through the contenders. Below, we have prepared a list of five best premium smartphones one could buy in 2018. Teasing as a low-maintenance smartphone, the Google Pixel 2 is not exactly a cheap handset to come by. But it does make a point in spending around 48K on a smartphone even for people who are not really looking to spend that much money on a smartphone. Once you use it, you’ll be spellbound to it. Available for trying out at any Google authorized re-seller stores. This handset from the Mountain View giant has everything you’d want in a smartphone. Why could Pixel 2 be the best smartphone under 50000? : For its first in class frequent software updates. Plus, the incredible hardware it packs in terms of camera. Its single lens rear camera is more powerful than most dual rear lens setup. Easily the most beautiful smartphone in its segment, the Samsung Galaxy S8 might be a year old handset. But its specifications haven’t aged at all. The first in the Samsung Galaxy line up to adorn the mesmerizing Infinite Display, it is an ultimate premium smartphone to buy in India, even in 2018. Samsung smartphones are all about the experience and this one preaches the same. The camera package on this one is pretty fantastic and is claimed to be made for everyone. Why could Galaxy S8 be the best smartphone under 50000? : Primarily because it opens up new worlds. If you’re looking to enjoy the premium Virtual Reality, 360-degree photography experience, and more. Then, this may be the best purchase decision you’ll ever make. LG might undersell its G Series handsets, but they make sure their V Series gets the attention. The primary reason because it is quite popular among the premium smartphone user. The new LG V30 Plus not only offers a sturdy design but takes a seamless approach in offering many innovative features, which started with the secondary display. Shining bright with the OLED panel, which is compliant with Dolby Vision and HDR10 standards. This means you can really enjoy watching all the Netflix shows on-the-go. 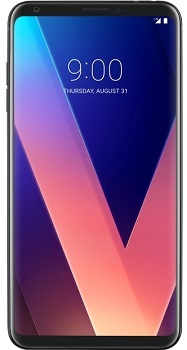 Why could V30 Plus be the best smartphone under 50000? : If you are someone who wants the fun of GoPro style wide angle photography, then, you’d definitely enjoy owning this one. That is on top of the high-end hardware specifications. 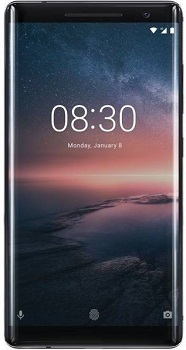 When the edge displays were going out of fashion, Nokia introduced the Sirocco edition of its Nokia 8 smartphone, which was launched last year. The new Nokia 8 Sirocco is priced premium, unlike its original sibling. Claimed to be crafted for a premium experience in real life, this smartphone from the Finnish maker has everything one would want on an Rs 50K phone. Why could Nokia 8 Sirocco be the best smartphone under 50000? : The iconic partnership between Nokia and Carl ZEISS optics comes back again on this one. For a professional photography choose the Nokia 8 Sirocco. Innovation is in the blood of engineers at HTC, and every year they have proved just that. The HTC U11 introduced a new way to interact with a phone via Edge Sense technology. Ushering in a new age of interactions, the U11 comes with revolutionary specifications. This technology completely changes the way you use the smartphone. It is claimed to be more natural than ever. Why could HTC U11 be the best smartphone under 50000? : A camera loved by experts at DXOMark, this is a flagship phone you never had before. Hope by now you have decided which smartphone you’re going to purchase. We can only inform you of the specifications and features these premium smartphones can offer. It is you who have to make the decision on which is the best smartphone under 50000 for you.